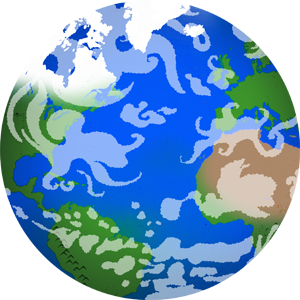 "Earth and Environmental Sciences" encompass a diverse and varied range of topics and disciplines. Think of any process that involves interactions among the lithosphere (crust, upper mantle), hydrosphere (oceans, lakes, streams, groundwater flowing in the crust), biosphere (organisms as simple as bacteria to complex ecosystems such as tropical rain forests), cryosphere (polar ice caps, both present and ancient), and atmosphere (especially ancient or "paleo"-climates) and mix in the added dimension of the mind boggling length of geologic time, and voila....you will find geoscientists studying them. Most people think of volcanoes and earthquakes when they think of geological processes, and rightly so. However, there is much more to being a volcanologist than someone who hikes up volcanoes and collects samples of lava, ash, or volcanic gasses. Many explosive eruptions are triggered by magma coming into contact with groundwater. 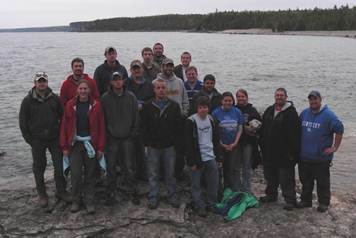 UK Geology students on the shore of Lake Huron during the 2008 field trip to Ontario and the Canadian Shield. The typical profile of a geoscientist is someone with a broad range of interests in science, nature, and the environment. 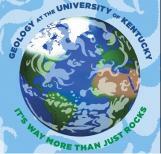 Most geoscientists start out their academic careers as something other than geologists. Pre-med, Physics, Engineering, Biology, Geography, even English! However, most realize that their true interests are in studying the Earth, interests that they have had since they were kids. No matter which road you take to Geology, there is bound to be some aspect that you find compelling enough to draw you into the field and allow you to have a rewarding and satisfying career as a geoscientist. visitor center, Sudbury mining district, Ontario. 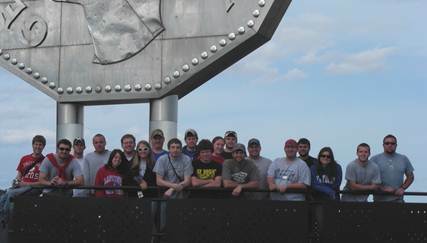 Undergraduates interested in becoming professional geologists or who want to attend graduate school generally pursue a B.S degree. Those students who have interests in education, government, policy, or possibly law, may consider our B.A. degree. We have revised our curriculum to better meet the needs of the geological profession so that students who earn a degree from UK are well prepared to enter an ever-changing job market or go on to graduate school. We encourage our students to work alongside graduate students and faculty on research projects while they are juniors or seniors so that they can gain invaluable experience in the lab and the field.